Fair warning: I have a lot of feelings this week. After writing this out, though, there are still more Loves than Wines. Which counts as another Love for me. Not having enough hours in the day to do everything I want – or feel I need – to get done. I’m learning more and more than I have the type of personality where I need to do everything really well and do it really well right away. Oh, hi, Type A Perfectionist, you’re stressing me out. On the same note, I’m frustrated that I’m not just magically perfect and seamlessly adjusted to my new job. I know I’m doing well and catching on quickly, but new things are hard! I just want to be good at everything NOW. I haven’t seen Twin in two whole weeks. After working together for the last fours years, going on vacations together, and also hanging out every weekend, that feels like a lifetime. I miss her. I’m coming to the realizing that while my list of best-friends-ever-in-the-whole-world is shrinking a little bit, the people making the cut are irreplaceable. I took a boxing class this week (a legit one – boxing gloves, ring, punching bag, the works) and loved it! Also, I’m so sore but in the way that I’m just constantly reminded that I pushed my muscles to do something outside of their comfort zone. Speaking of comfort zones, I asked a boy out on a date and he said yes. Details to come, but boy is that exhilarating! I got my first paycheck! And my tax return! And! My security deposit from my old apartment! My riches are not permanent, but after two months of stressing about rent and bills, it feels nice to have the freedom to make a budget again! Yay income! 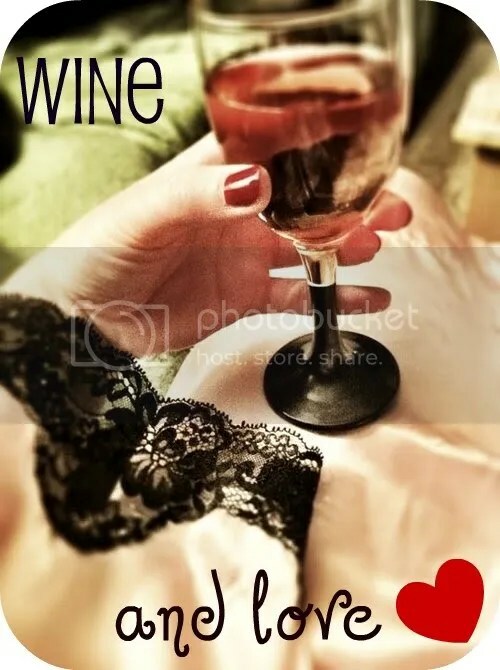 This is my first Wine & Love post, but I’m going to aim to do it every week. I love the idea of taking time to reflect on what’s going my way and what’s not – it’s such a great way to gain perspective. You can probably tell I’ve been super into balance lately, so if you want to link up with Nora and do your own Wine & Love you can! Girl drama…Boy-roommate’s semi-girlfriend doesn’t like me. Normally I wouldn’t care – I know I’ll be around longer than she will – but she’s over quite a bit and she’s begun to make her feelings more obvious. Last night I buzzed her in and she didn’t even say hi to me when she walked in the door! Winter…This is kind of trivial, but it’s bothering me: dry skin! My hands are normally baby soft (seriously, everyone comments on them!) but this winter is so dry. To make it worse, the radiator is in my room. I have a humidifier, but I’m not sure of its effectiveness for the size of my room. What are some ways you keep your skin soft in the winter? Do you use those lotion-gloves? Do they work? I’m open to suggestions. This weather…It has been SO inconsistent this year. I don’t love extreme temperatures in any direction, but I’d always prefer warmer. This week has ranged from 65 degrees down to 28 and snowing – all within four days. I realize this has larger implications for the planet than just my personal satisfaction, but for right now I’d really like there to be some consistency! My new job! I’m almost done with week 2 and it’s going so well. I’m challenged, but in a way that I feel like I’m building on my experience. Everything I’m doing is reinforcing my knowledge and understanding of the industry. And I get to make pretty powerpoints! The cleanse! Today is day 3 – the last day – and I feel fantastic. I can’t wait to dedicate an entire post to how it has gone (you knew that would happen, come on). I took a spinning class last night and did yoga this morning and I’m just in such a happy place right now! My clean, organized bedroom! Since I’m not eating real food – and therefore not cooking ordering in/waiting for delivery – I have had so much time (and energy!) to keep my room clean and my clothes put away. I love going to bed and waking up in a room that’s so uncluttered. Future plans! I have so many plans for the next few weeks – including skyping with Amazonian tea farmers in Spanish (no, I don’t speak Spanish – it’ll be interesting), my first boxing class, applying to be a Stratejoy Season 6 blogger, tons of babysitting (extra money! ), skiing, and more! Not too long ago, I was really struggling with the curveball called Being Laid Off. It kept hitting me on the head, in the gut, my shins … everywhere that hurts the most. Then my best friend got a job offer before I did. My reaction – an unfamiliar one of envy and self-doubt – really threw me for another loop. I’d never not been happy for her many amazing accomplishments! It was time for some serious life-evaluation. I wondered why her success meant my failure. Why anything positive for her didn’t immediately lend itself to positive support from me. Why I was suddenly unable to share in her excitement and instead wallowed in my own self-pity. It wasn’t a pretty sight. I didn’t like that part of me that I didn’t even knew existed. I really thought I was one of those secure, confident people with happiness oozing from within! I thought I was making me happy, rather than my circumstances. That impression fell apart when the curveballs kept pelting me. What really struck me was that it wasn’t the job that was making me happy. It was being on what I viewed as equal footing with my closest friends. Um, WHAT?! I’m sorry, did I not just write an entire post on how I hate competition between friends? Since when was Life in General a competition, then? Since when was my self-validation based on being “equal” to my friends? See, with my realization that I need to uphold my Rabbit Hole Standards also came a Lightbulb Moment of Self Clarity. I deserve friends who respect me – but more than that, I deserve my own respect. And you know what? It really is. Just because I’ve realized that this is something I need to seriously work on doesn’t mean I’m suddenly all happy-from-within and don’t care about the fact that not everything is going my way quite yet. It does mean, though, that when my best friend recently accepted a new job (her second offer, actually), I was genuinely thrilled to share in her excitement. I’m different from her – I’m different from everyone else – so things happen differently for me. Also? I don’t think it’s about simply trusting that things will work out. They will, but that’s because I’m working really hard on figuring out what those things are and how I can make them work out for me. I’ve been thinking a lot lately about a conversation I had with an old coworker when I was in London. He was in the process of quitting; I was shocked to learn he’d given 60 days notice. Along the same lines, he was horrified to learn that, should I choose to quit, I would give two weeks notice, required not by law, but simply out of culture and courtesy. That’s the thing about at-will employment. Unless you’re part of a union, in America, you have the right to leave your employer at-will. The part that most of us take for granted is that it goes both ways. When my colleague exhibited some serious anxiety at the mere thought of not having legally required job security, I scoffed. Well guess what happened? They did. I try really hard to appreciate the little things in life. When I’m feeling stifled by New York City, I deliberately take note of beautiful architecture on the corner; I engage the Dunkin Donuts lady who pours my coffee; I smile at strangers. Apparently, though, I’ve been falling short at appreciating the big things in life. Having a nice place to live, all of my immediate family members being alive and well, being employed. Suddenly, I don’t have a paycheck on the horizon. My checking account is what it is; it won’t get replenished at the end of this month. Suddenly, I don’t have any kind of structure to my day. I can do whatever I want whenever I want to, which maybe sounds appealing to lots of people, but I don’t function well this way. Even self-employed, workers-from-home have deadlines to meet and goals to accomplish. My freedom is endless and it’s suffocating me. Anyone who knows me will tell you that I’m one of the most adaptable people they know. What they might not realize, however, is that I need prep time. I can take on Life Changes with a vengeance as long as I can convince myself it’s on my own terms. This? This is not on my own terms. And I guess that’s the lesson I have to learn here, right? I don’t get prep time for every Life Change. I have to learn to dodge the curve balls, or catch them, or at least not let them smash me in the face. It’s proving to be a real challenge to prevent this curve ball from smashing me in the face.